Collage.com helps you design and print your favorite photos from your computer, tablet, or smartphone. Their state-of-the-art Collage Builder allows you to instantly upload photos from Facebook, Instagram, or your computer and arrange them into a stunning collage. After you've designed a collage, you can share it for free or order a print: their photo products range from canvases and mugs to towels, pillows, and fleece blankets. Photo products are my favorite, my fiance (bless him) doesn't understand my love for Photo Products. After every photo session I have with my daughters, I have to order something with their picture on it. From school and dance pictures, to me simply taking pictures of them I order a mug or canvas right away. Last summer, we went camping for the first time and I got some pretty good shots of my family but I knew a Mug or Canvas wouldn't due for these pictures. I wanted a way to display these photos & even though I'm sure I will order prints down the road, I wanted something different, so I turned to one of my new and favorite photo sites, Collage.com. This is my first product from Collage.com but I knew their photo blanket was perfect for me. 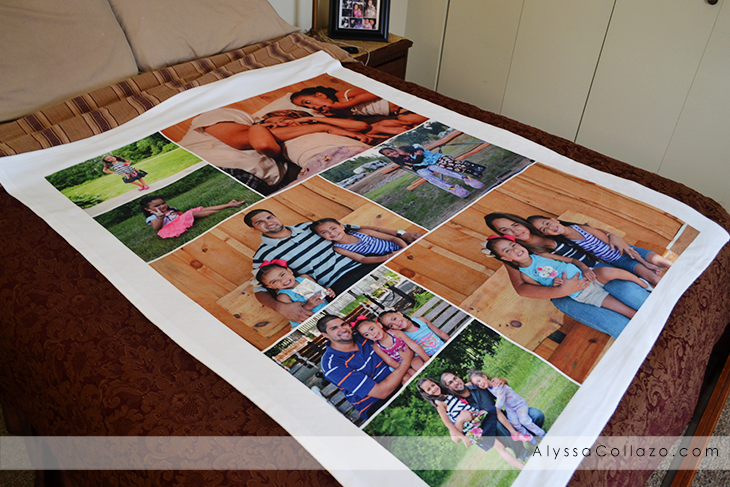 I'm absolutely smitten over my new photo blanket from Collage.com, everything about it is flawless. From the picture quality right down to the softness, so much softer than I could of ever imagined. From my bed to the couch, to my daughters rooms, this is a blanket that is shared by everyone in my home! One (1) winner will receive: A gift code to create their very own 50" x 60" personalized Photo Blanket from Collage.com (ARV $129.99). Ends 3.20.15. OMG I totally love it. I want to make one for my mom for Mother's Day. She would flip out. This is amazing. I absolutely love this, and would love to do one up for someone special I know. It would be the perfect gift! I would use pictures of my kids and give it to my Mom for her birthday! That is so cool! I'd love to do this with some of our family photos. Thanks for sharing this! That is the cutest thing I've seen in a long time. If I were lucky enough to win one of these, I'd do family photos on mine. It would look so cute on my bed. This is such a cool idea. It would make a great gift. I will have to look at my photos and pick out some to use. I saw this about a week ago and I thought it was so neat! I have a few things from Collage.com. I really love this blanket! It's so neat that you can put your photos on a blanket! I hope I win! This would be the best gift for my parents! What a great giveaway! I would put tons of pictures of my grandkids on the blanket. How fun to choose pictures of different ages and personalities. I would love to win this giveaway so I could get a blanket of my own. I would use pictures of my hubs and our animals! I would use the pictures of my grand kids dressed up for Halloween. My husband would love it! Wow - that is a fabulous idea - like that you gave us the link - and it would be great to put some of our hiking photos into a memorable blanket! I think it's fun that you do this! That is such a unique gift idea for any occasion. So many possibilities for that. This is a really cute idea. My daughter would want one with photos of our cats! Isn't collage.com amazing???? I have a photo tin from them that I'm just crazy in love with too! Collage.com has some amazing products. 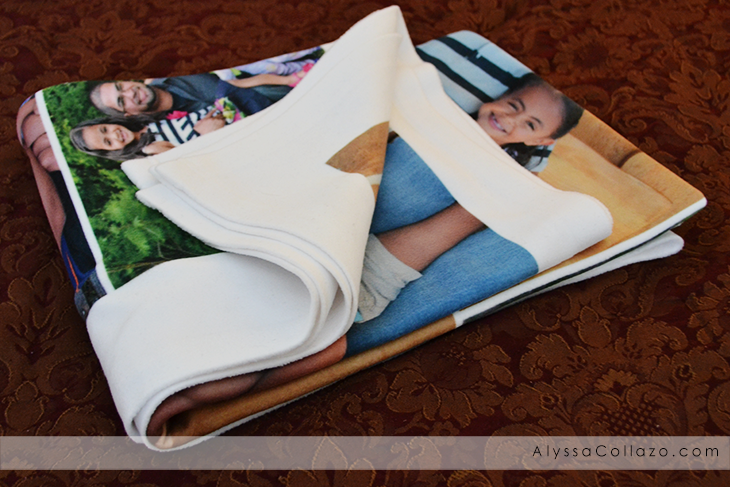 I love the idea of a photo blanket. I would love to make one with all my furbaby photos, especially one for my boy that passed away a few years ago. A good memory blanket. I would fill it with an assortment of beautiful photos that I have taken of where I live in New Hampshire and i would give it to my parents who now live in Florida. I can't believe how clear the pictures are on that blanket. I think my in-laws would love this. Your blanket turned out amazing!!! I love how clear the photos are on the blanket! This is too cute. I would love one of these with my girls on it. I'll have to check them out. Now this is a really great giveaway. If someone had a big family and a lot of photos, this could be a fun one to even hang up on the wall or give to the Grandparents / future generations to look back on the ones they love. This is so cool!! As a photographer, I need this in my love. Would love to showcase some of my travel photos. This is so cool and would make a great graduation gift or anniversary gift. I love the idea and will check it out. I have one of these and absolutely love it!!!! I wanna Order more for my mom and grandma!!! I would customize this blanket with my daughters school pictures from every year. She is going to be graduating soon and i think this would make a really cut gift. This is the sweetest gift! Would be a nice Easter basket goodie or Mother's Day idea! So cute!. I would put my kids all over it. With a picture of my husband and I in the center. I would gift it to my Mom for Mother's Day and have all her grandchildren (5 of them) on the blanket...a mix of photos of them together and by themselves! I would make it with photos of our children. I would put pictures of my grandchildren on it.